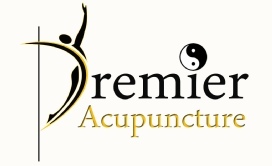 Premier Acupuncture will help to support any fertility issues from the planning stage, with or without Assisted Reproduction, during pregnancy if needed and indeed after the pregnancy. Planning on having a Baby can seem like the most natural thing in the World but sometimes it can prove to be a very difficult, long and lonely journey for many couples, speaking from experience. Traditional Chinese Medicine is about looking at the Person as a whole, we will try to get to the root cause of any difficulty. Firstly, A detailed case study will be completed with specific questions relating to the mental, physical and emotional functions of the Body along with diet, health and lifestyle questions. All with a view to try to address any issues/disorders or imbalances in the Body and achieve optimal health and ultimately a successful pregnancy. Whether you are trying naturally or seeking assistance with your Fertility, Acupuncture will help promote the free flow of ‘Qi’ (energy/life force) and blood in the Body, optimising circulation along with calming both the mind and Body for what can sometimes be a very stressful process. In fertility patients, again appropriate Acupuncture points will be needled in the Body based on the proper TCM diagnosis. If the lower abdomen is cold, heat therapy may also be used to warm it up.